Our guys are back with the sunshine, keen and raring to fix your bike. 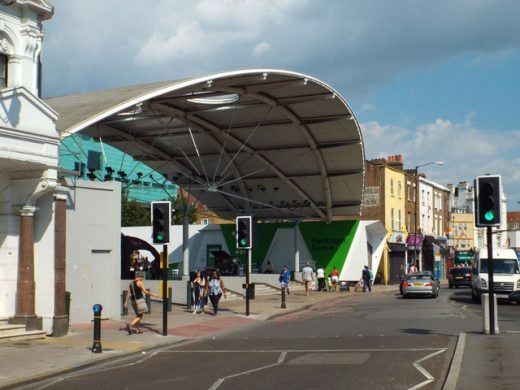 They will be under or around Peckham Arch (see pic) fixing bikes for all-comers. This service is free and enthusiastic. The bigger your problem the happier they are. They carry small parts like cables but not big ones like wheels. For bike reconstruction you will be referred onto our bike maintenance and tuition service which runs indoors all year round. Roll up.